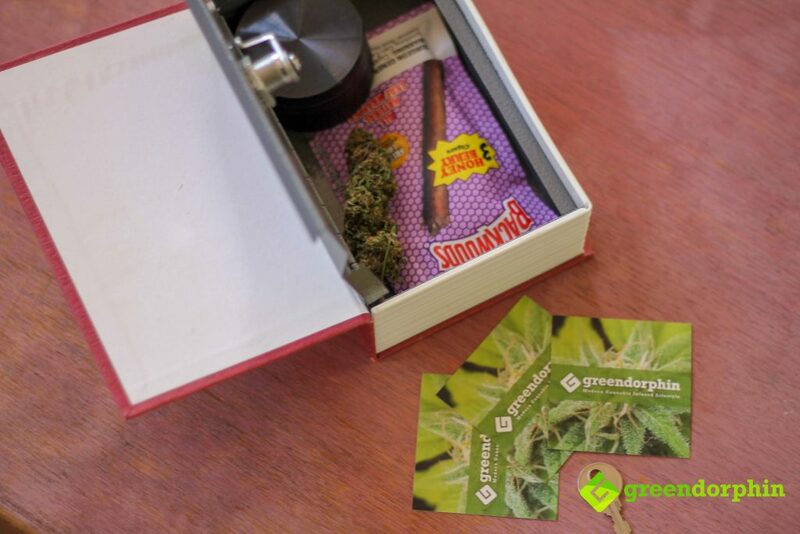 The Top 5 Ways to Store Your Cannabis: Best Weed Stash Spots! 5 Ways to Store Your Cannabis: Best Weed Stash Spots! Home Lifestyle/Food 5 Ways to Store Your Cannabis: Best Weed Stash Spots! Out of the box, so to speak, cannabis has a relatively short lifespan, so great care must be taken to ensure it doesn’t fall privy to the elements. Excess oxidation can turn your resiny aromatic buds stale and result in a much harsher smoke. This oxidation results in a shift in the genetic makeup of your cannabis, with the THC being converted into CBN. Cannabinol (CBN) is linked to listlessness and makes you super sleepy when consumed in high doses. 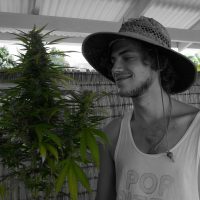 This is obviously not ideal for anyone looking to use weed to spawn their creativity, hence the need for better bud storage! 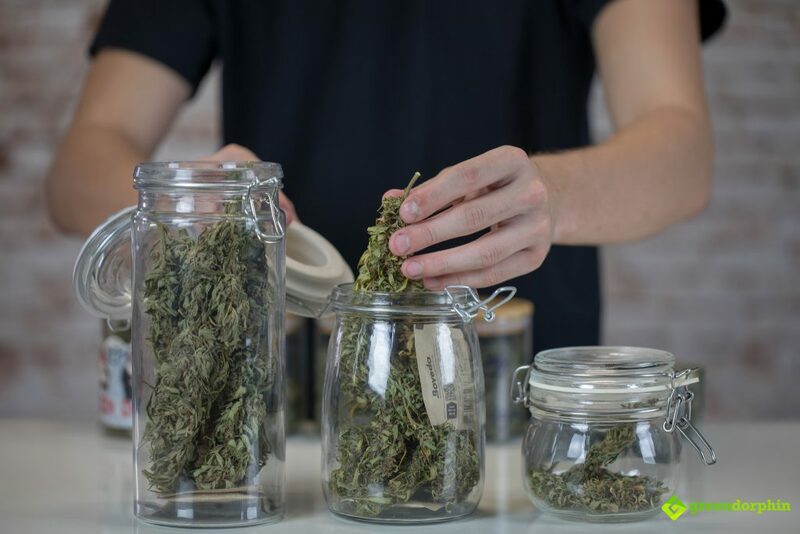 If you’ve recently harvested or are looking for a place to stash your sticky icky, read on and find out all about the…..
Top 5 Ways to Store Your Weed! 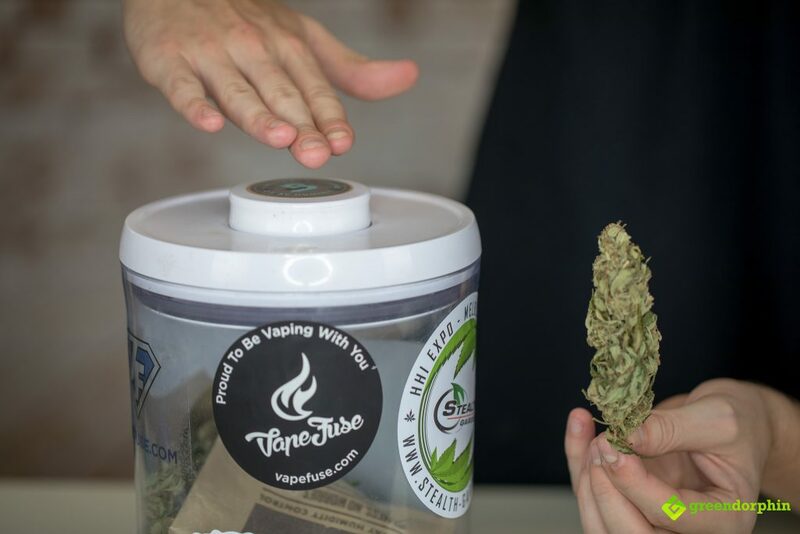 In this day and age with the cannabis culture taking off, more and more novelty storage items are popping up with the intention of keeping your stash safe and secure! 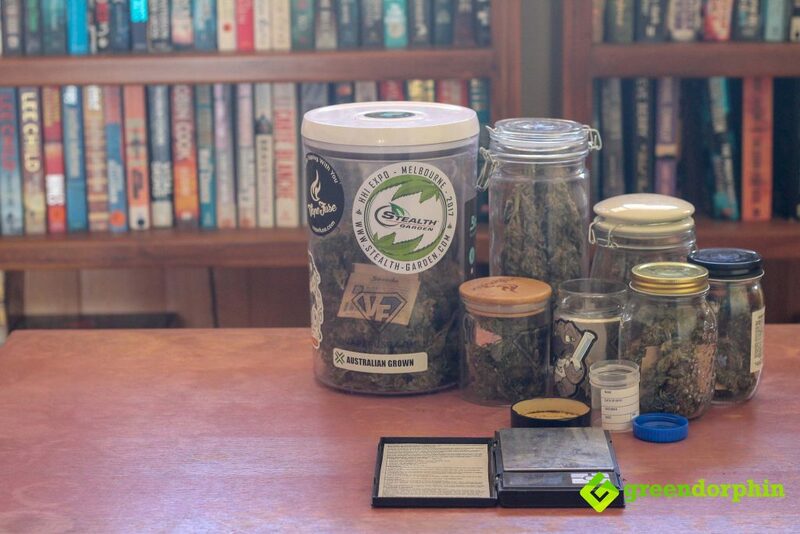 Whether it’s a fake soda can with a twist off lid, a hollowed out piece of wood, or even the dictionary safe pictured above, someone out there has an ultra-secure way for you to conceal and store your cannabis. 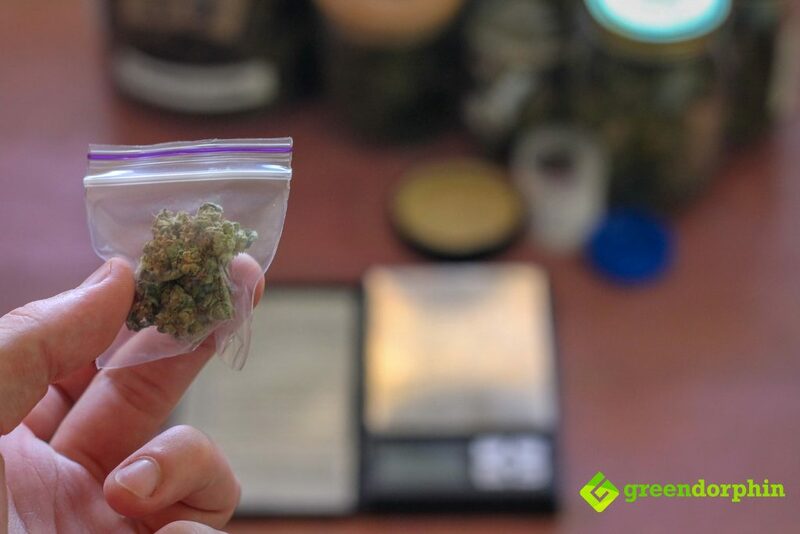 Arguably the most common cannabis storage method, the ziplock baggie is the go-to packing and storing medium for most street or at at-home dealers. Can Cannabis Solve Intimacy Problems? It’s cheap, it’s simple, but it’s not very discreet. Unless you’re using smell proof bags like the Stink Sack baggie pictured above, the all too indiscreet smell of your cannabis flower will seep through the bag! Baggies are a great alternative for short-term storage and transportation of smaller amounts of cannabis, however, in the long term your cannabis will break down a lot faster than if it was stored properly. Ah, the dime bag! An ode to cannabis culture past, where you’d split a dime with some friends around the lake after school. Thanks to the ever-growing legal cannabis movement in the US, the ten dollar baggie is becoming less and less of a thing. With 1/8ths being the go-to minor purchase size, there’s almost no love left for the dime bag. If you’re living in Europe though and still have to cop on the streets, you will appreciate this magical little baggie for all of its glory and smoke it until the last crumb burns away. If you’ve ever seen a drug bust go down on TV you’ve likely seen a massive bale of weed wrapped in plastic being hauled out of a stash house. Vac-packs are awesome for concealing your weed as you can shrink an ounce down to a pocket-sized amount! 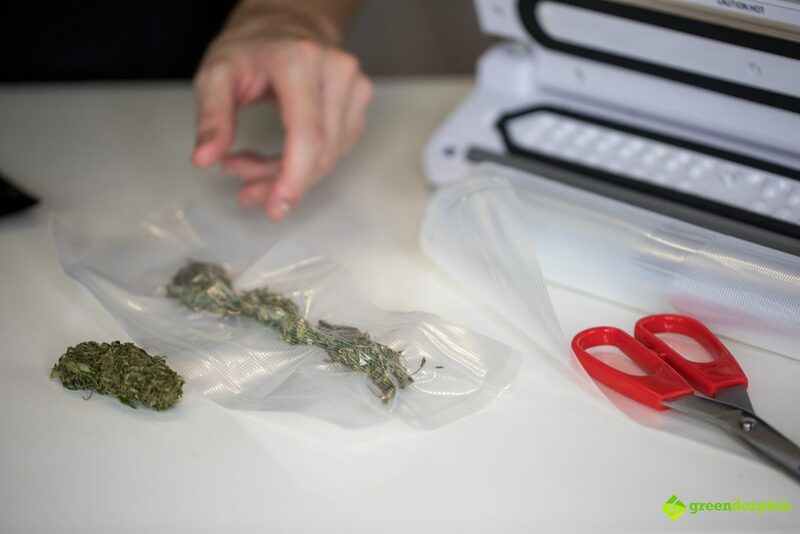 Vacuum sealing involves using a sucking/sealing machine to pull all of the air out of a tough plastic bag of buds before sealing it for transport or storage. The video above outlines the various benefits of using a device with a vacuum sealer to store your cannabis for the long-term. What is Marijuana Anonymous (MA)? Check it out and subscribe to the Greendorphin Media YouTube channel to stay up to date with the latest and greatest in cannabis content. Now, while receiving your buds in a vac-seal bag may look cool, it definitely compromises the aesthetic quality of the flower inside. When packed too tightly, the resin glands can break resulting in a sticky mess and a less strong smoke. 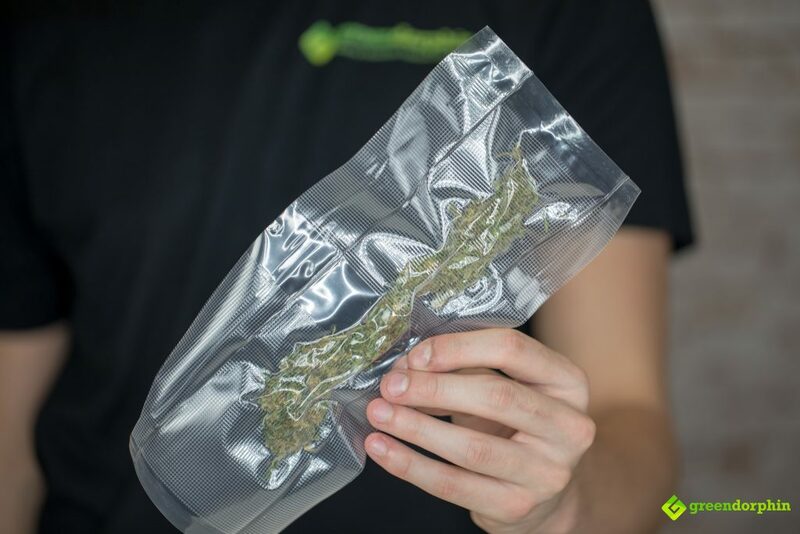 Vacuum sealing your bud is the best long-term storage solution as it removes air from the equation, subsequently removing the risk of oxidation or mold formation. Most dispensaries these days will give you some sort of plastic container to store your cannabis. Most are similar to either the pop-top container on the right or the twist-top jar on the left, however, there are a number of variations. The Medtainer for example, pictured above, is a hybrid grinder/stash container that is both air and smell proof and can hold up to around an 1/8th of dried cannabis buds. 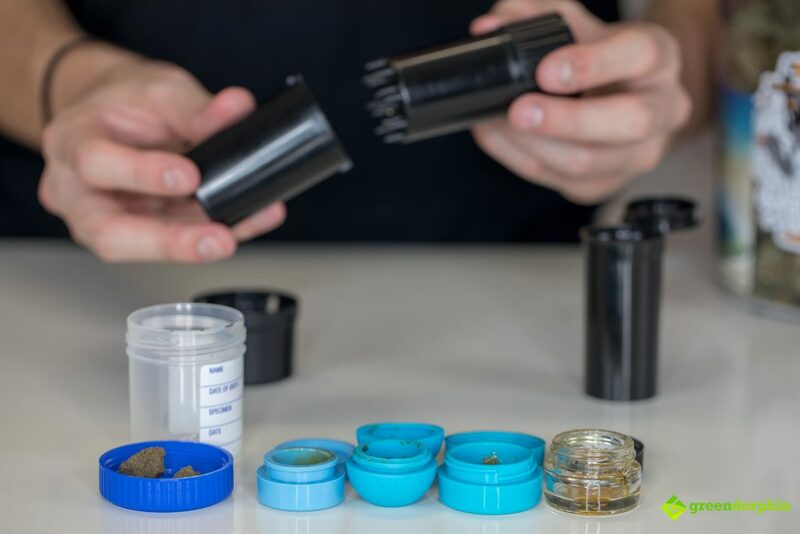 Most concentrates you buy will generally come in a heat-proof silicon round or spherical container which preserves the life of your wax or shatter by preventing it from oxidizing. Air-lock containers like the one pictured above are great preventatives for mold and oxidation and serve the purpose of keeping your cannabis buds fresh and crispy. Plastic storage containers are relatively cheap, and even if you don’t go to the trouble of buying one, there’ll always be something suitable lying around the house. 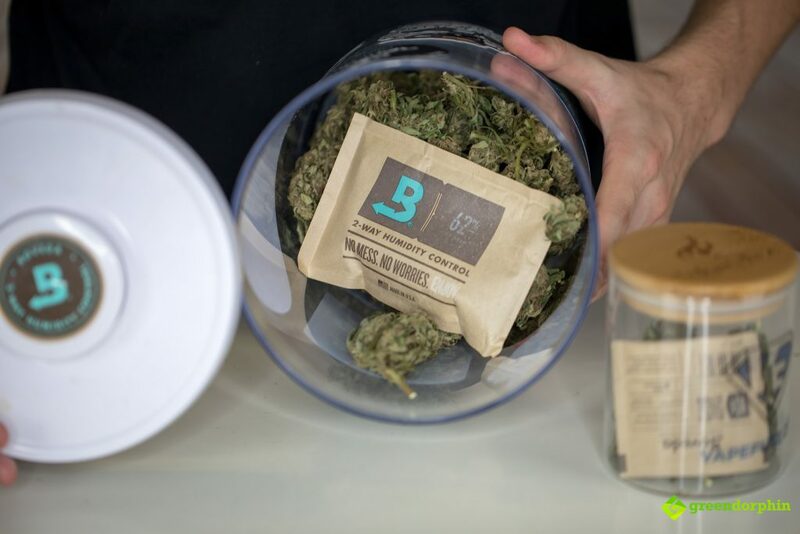 Just a quick note on humidity pads: two-way humidifiers like the Boveda pack pictured above help your containers relative humidity remain at a solid level of 62%, the perfect level for keeping your cannabis fresh! I strongly recommend stocking up on Boveda’s or similar two-way humidity pads if you’re planning on keeping cannabis for extended periods of time. Definitely the most aesthetically-pleasing way to store your buds, the glass jar is a super efficient way to keep all of those flavors and cannabinoids intact! Glass is a super important element in the world of cannabis. Whether it be an expensive glass bong, glass stash jar, dab nail or vaporizer mouthpiece, having clean glass is a must! Mason jars are the most common jars used in the storage of cannabis, however, I find that the hatch-top jars like the ones I’m playing with above serve a much more useful purpose. During the early curing process, you can position the jar so that a small crack is open in the lid so that oxygen is still able to enter the vessel. This is a preventative for bud mold which is super common in the early drying stages. Glass is also an awesome way to store your concentrate! 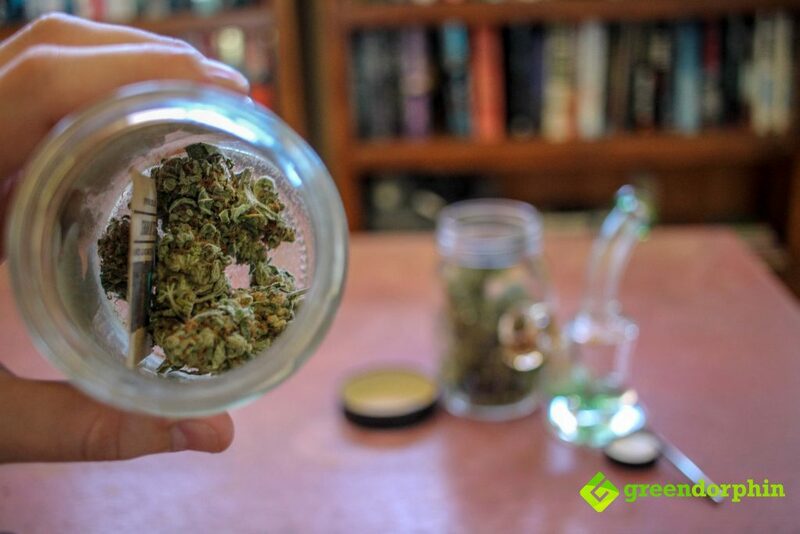 While not as durable or shatter-resistant as silicon, a glass jar will keep you shatter deliciously fresh for years at a time. You can pick up these glass concentrate jars for a crazy affordable price online through most small-goods retailers, and the compact size means that you can easily tuck a few into your pocket for dabbing expeditions. Got any other unique ways to store your cannabis for a rainy day? Leave a comment below and keep the conversation going!